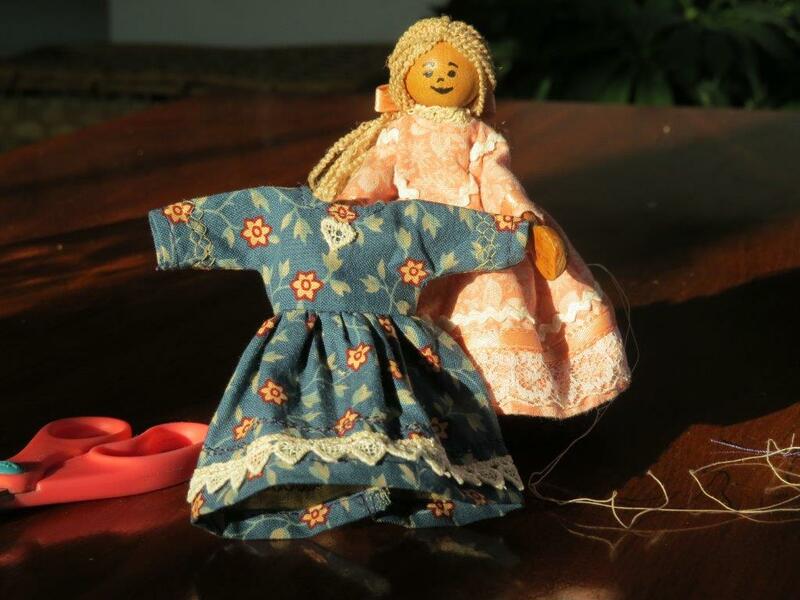 I read in Caddie Woodlawn’s book 2, that the lovely doll got a new dress every Christmas, so in recent years, I have sewn Penny a new dress every year. 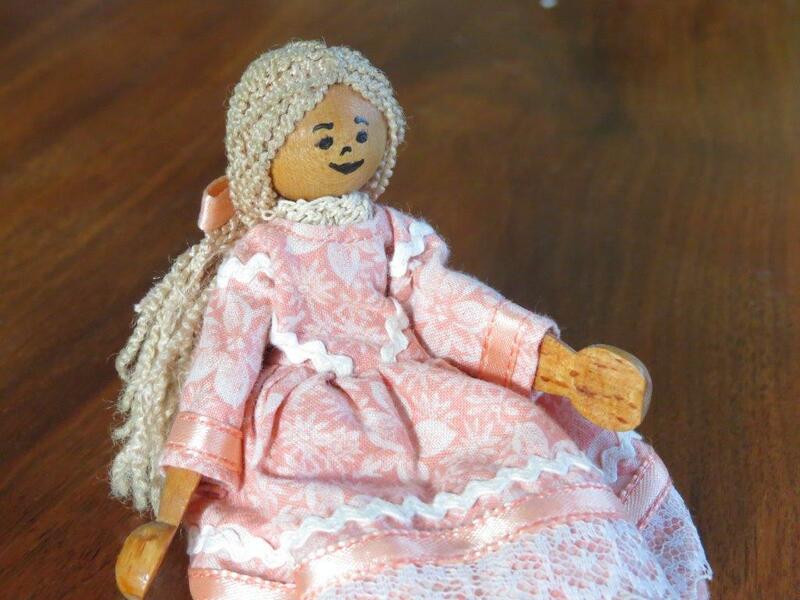 But with our home all topsy-turvy this year as we have built a new house and now are moving into it, I never did get around to making her dress, and have not even been very busy here on her site. But now we are getting settled and finding out where everything is, so I have set about making Penny her dress for 2015. 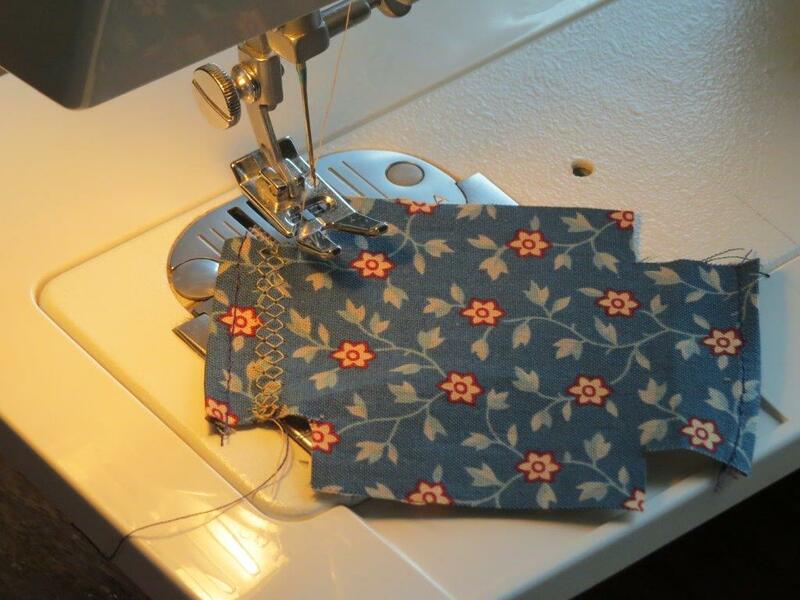 This pretty old fashioned blue print fabric was a gift from a friend recently. Thank you, Keenie, its perfect! 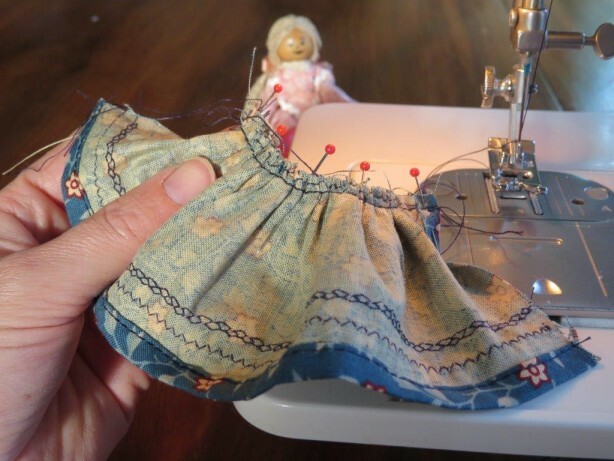 “My mother buys a piece of cloth to sew a dress for me. 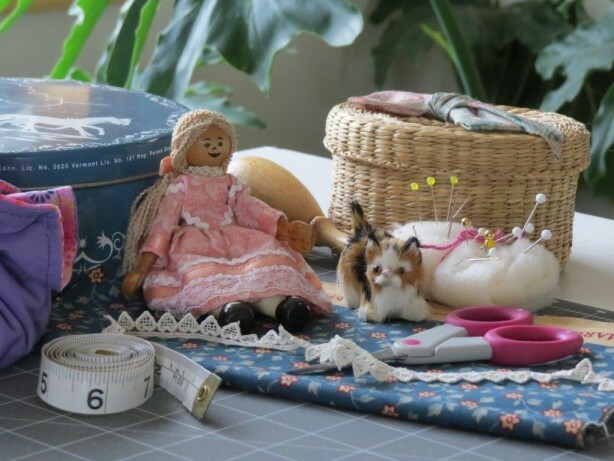 She cuts it all in little bits, though why, I cannot see. 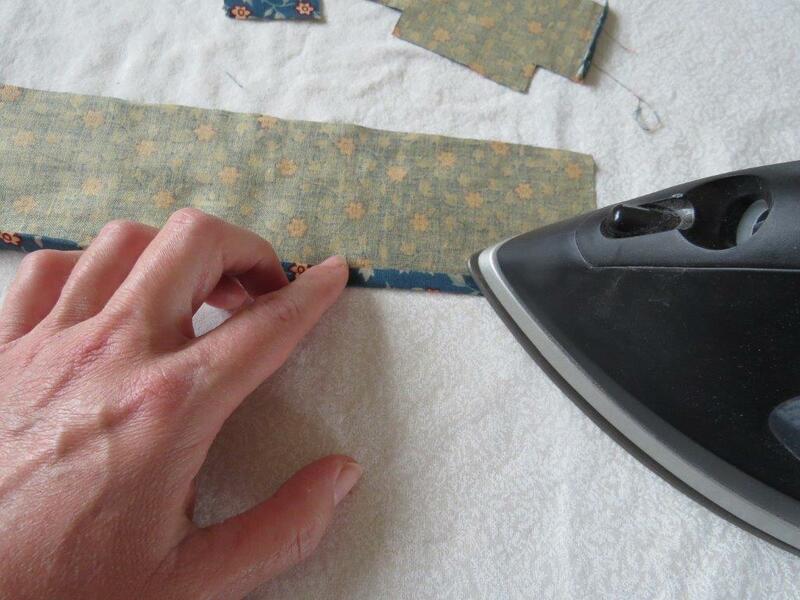 A very large iron, pressing very tiny seams. 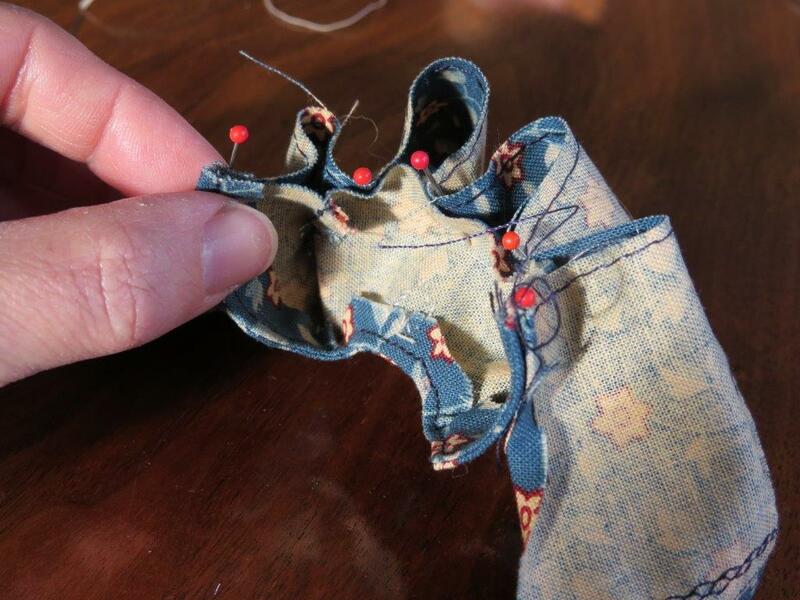 This time, I added some decorative stitching from my machine to Penny’s sleeves. 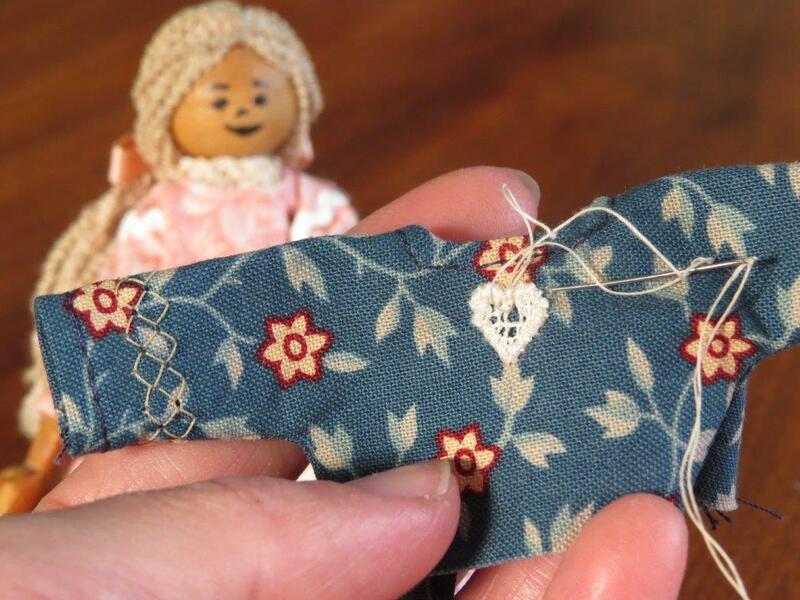 We decorated the front with a single heart from that tiny heart trim I put on the skirt. 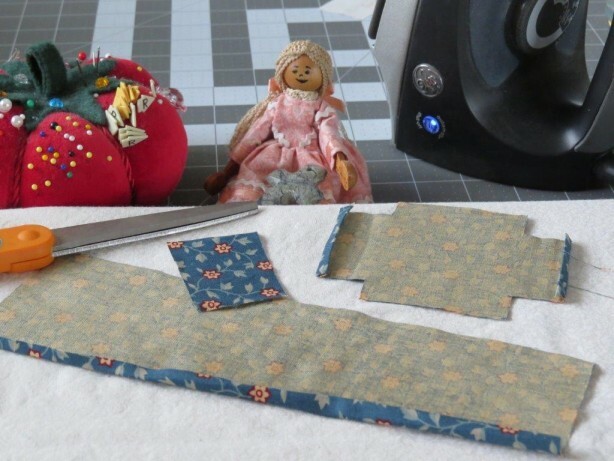 The evening sunlight was just breaking through into my craft room window as we finished the dress. A lovely benediction. And now to try it on, Penny!! 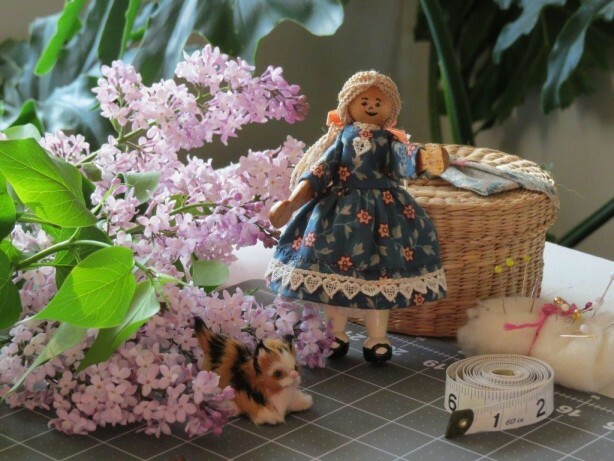 She poses here with her kitty, Ruby, by the fresh cut lilacs. 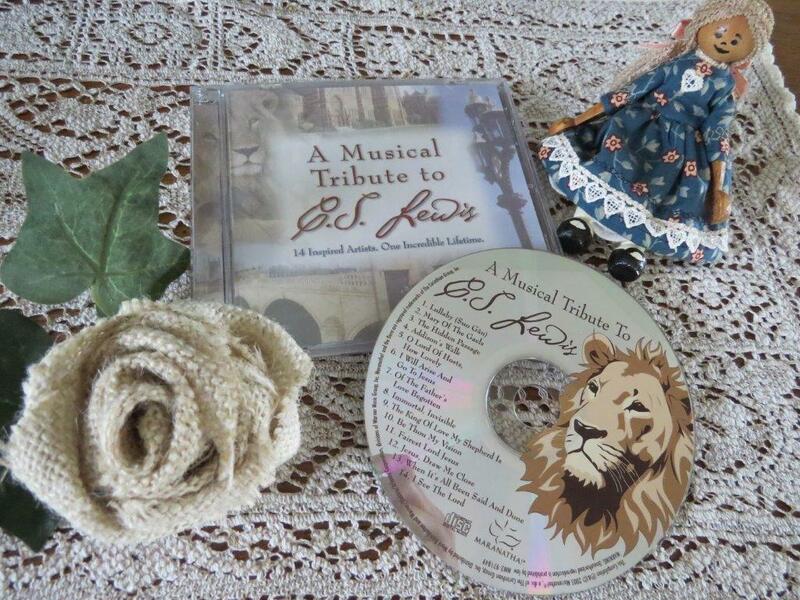 As we sewed we listened to this CD, ” A Musical Tribute to C. S. Lewis”. It has some very peaceful and beautiful songs and instrumentals, many with a Celtic feel.